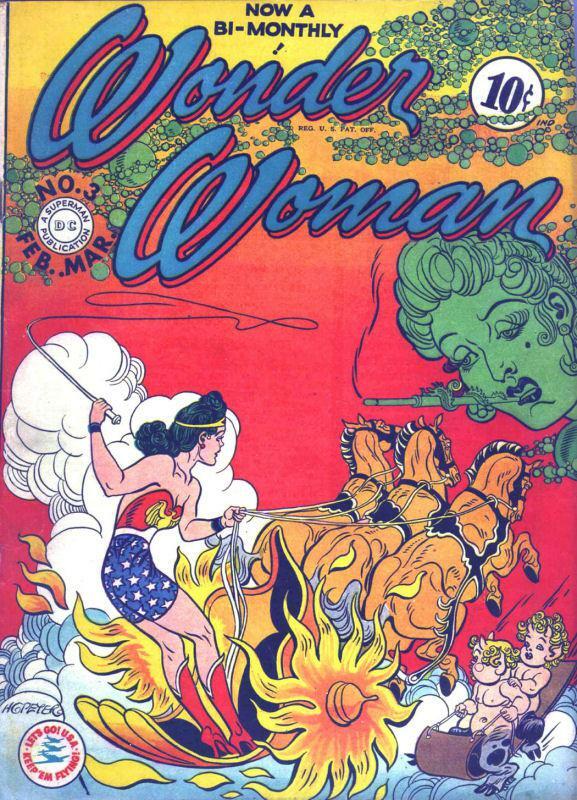 Issues are published bi-monthly from this issue onward and for the next two issues before reverting back to a quarterly schedule. 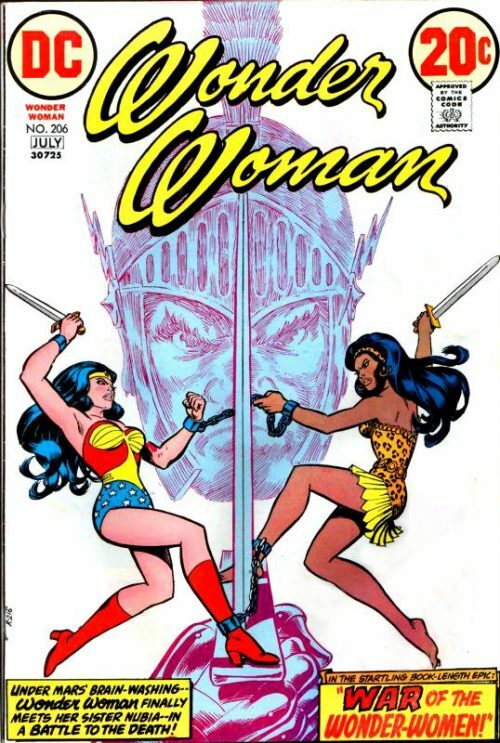 In this issue Wonder Woman has a number of encounters with her arch foe Baroness Paula Von Gunther which climaxes with the villainess finally transforming into one of Diana’s most trusted allies and closest friends. One of Von Gunther’s Girls, Mala, travels to Paradise Island during the Diana’s Day Festival by hiding in the Invisible Plane when Wonder Woman takes Etta Candy there. During this Festival one of the Amazons wears the mask of the Goddess, Wonder Woman is chosen this time, Amazons dress as deer and are hunted by the others. 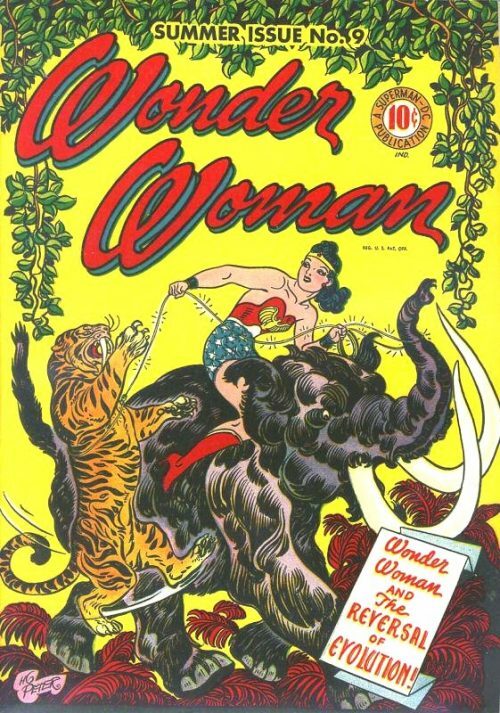 Mala is able to capture Etta Candy during the hunting festival. 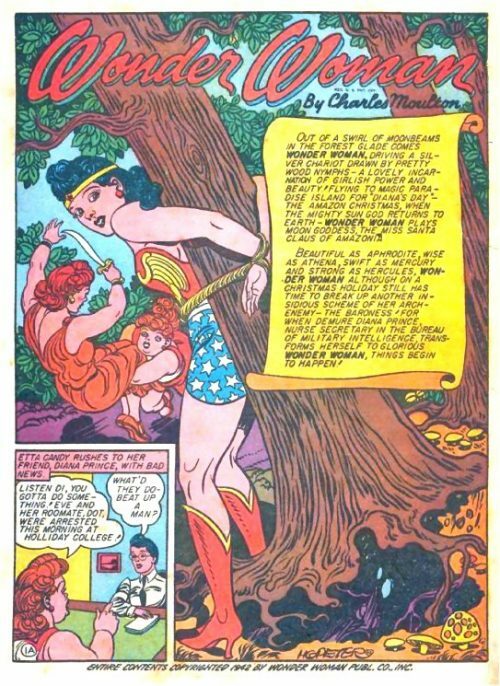 She steals Hippolyta’s Girdle, enabling her to overpower Wonder Woman and tie her to a tree. However Etta is able to remove the Girdle. 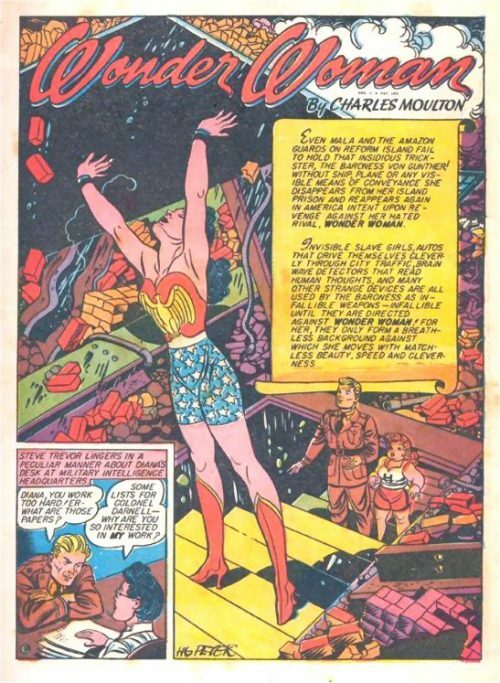 There is then an attempted invasion of the Island, but the Amazons are able to fight it of and Von Gunther is captured. Von Gunther escapes the Amazon Prison. 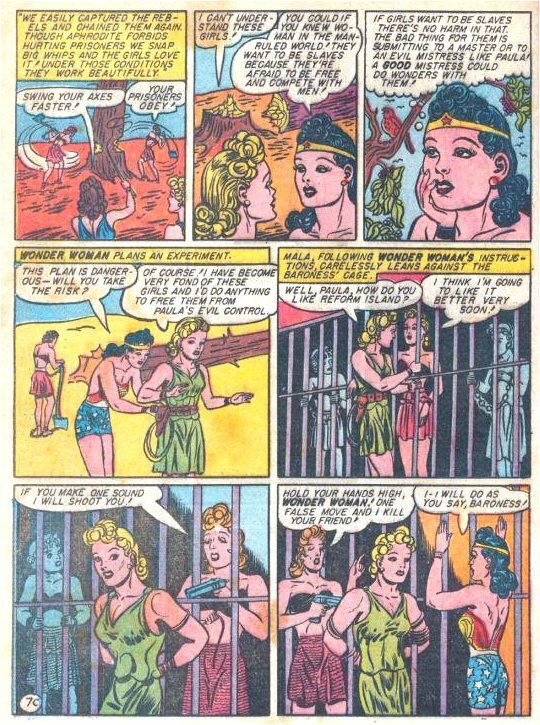 Wonder Woman finds from Von Gunther’s slave-girls they have her picture on their brain. 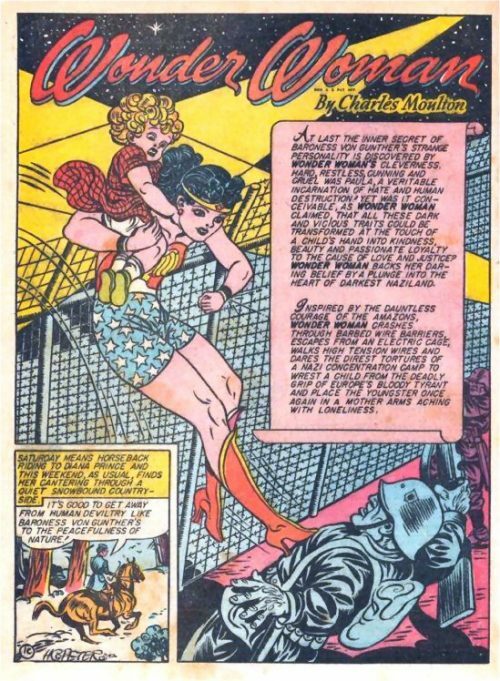 She allows herself to be captured by Von Gunther who has devised a method of turning invisible, she escaped by making her boat invisible but it was thought to have drifted away, then she escaped the Island in it. 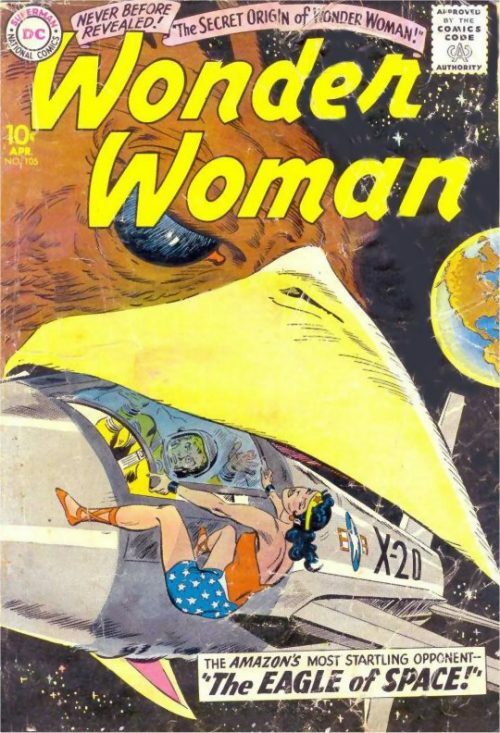 Wonder Woman has her eyes held open and has a projection of Gunther shown to her, weakening her will. However with Steve and Etta’s help she escapes and stops Von Gunther. 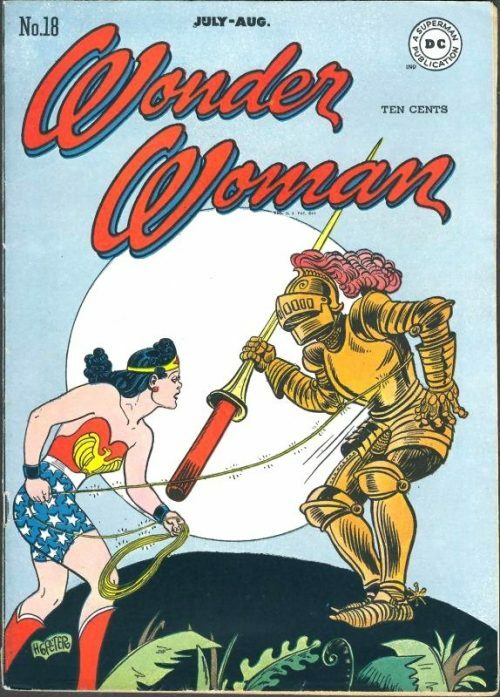 Wonder Woman discovers Von Gunther is working for the Nazis as they took her daughter Gerta hostage after killing her husband. 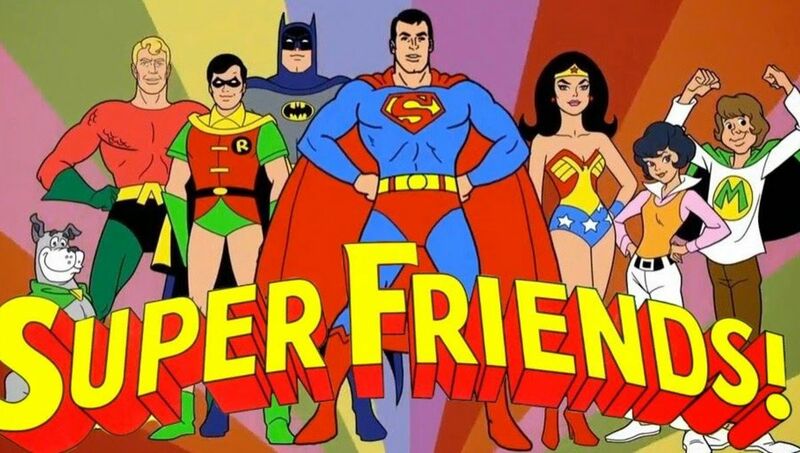 She is able to rescue Von Gunther’s daughter from a prison camp and Von Gunther decides to reform. Nazis attempt to blow up a building. A boy calls Kibby comes to see his mother. As she goes to the basement she is knocked unconscious. The building is set on fire and a bomb placed in it. Kibby finds his mother gagged and chained in the cellar with her feet chained to a pillar. 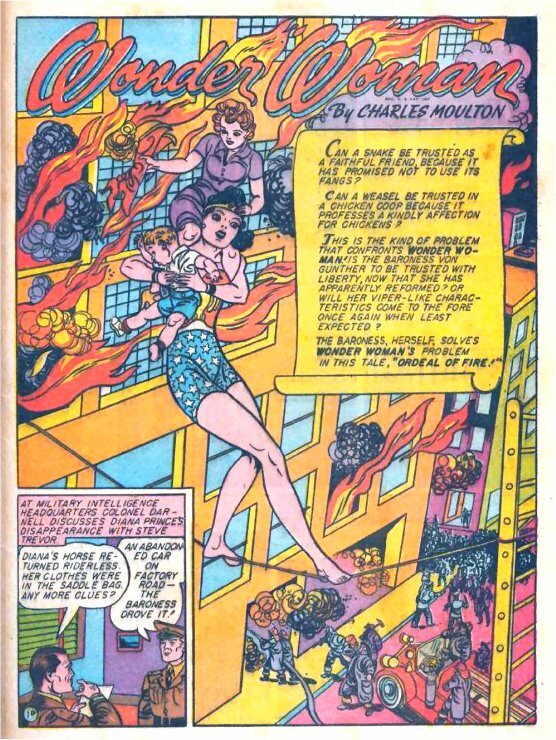 Wonder Woman rescues them and Paula risks her life to find and put out the bomb. 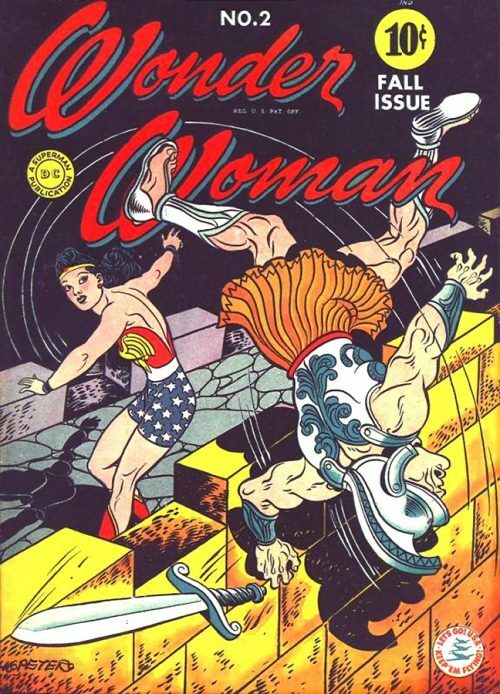 Wonder Woman finds Paula, whose face has suffered third-degree burns. 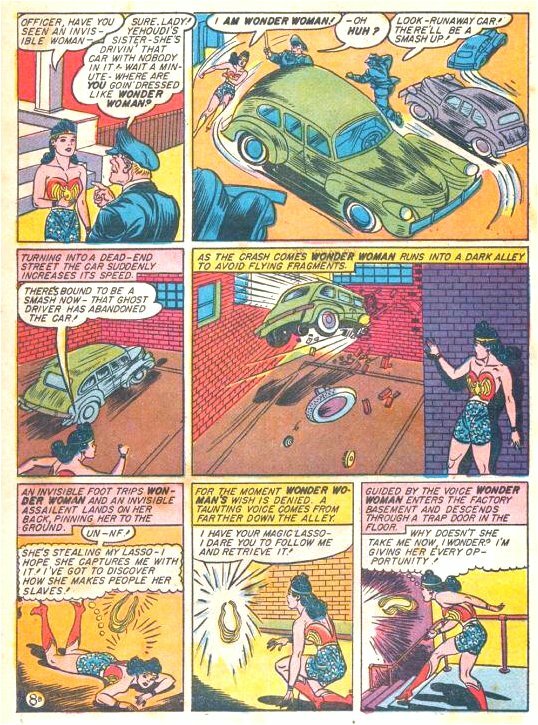 She is put on trial, but Wonder Woman defends her and she shows her scarred face, causing the Jury to acquit her. Paula returns to Paradise Island with her former slave girls and her daughter to live and undergo Amazon training. Queen Hippolyta moulds fine features on Paula’s face using a special ointment, which the goddess Aphrodite blesses and magically converts into Paula’s new face. 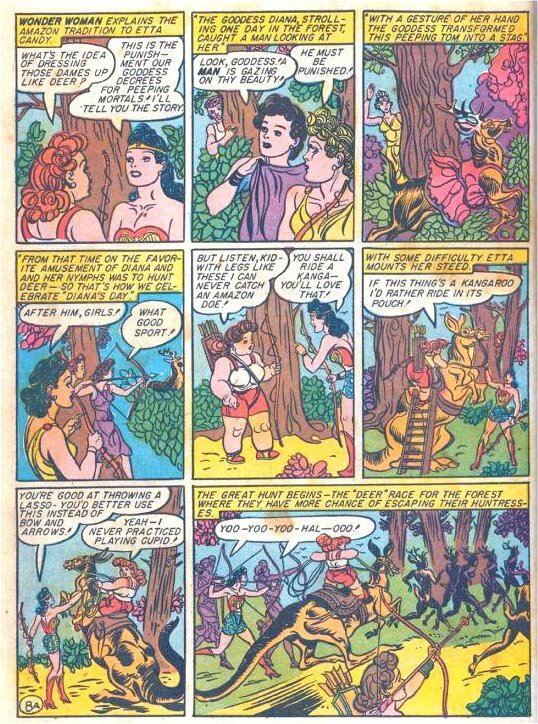 Paula then agrees to serve Aphrodite and Wonder Woman is given responsibility for her.